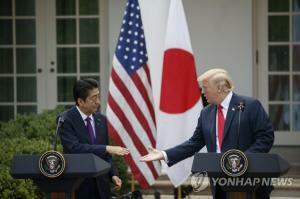 President Moon Jae-in and U.S. President Donald Trump on Monday discussed possible ways to reward North Korea for its denuclearization measures that will apparently include a second U.S.-North Korea summit. 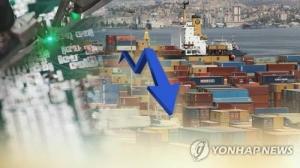 This was reported by Korean news agency, Yonhap, this morning. 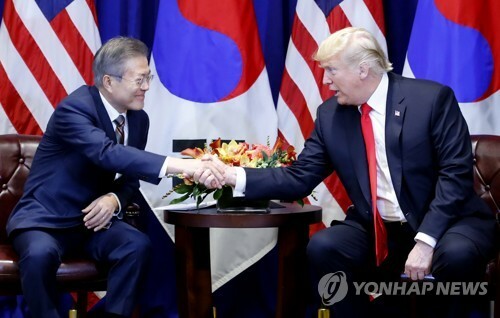 In their bilateral summit held in New York, Presidents Moon and Trumpt also agreed on the need to show North Korea a bright future following its denuclearization. "The leaders agreed to seek ways to encourage North Korea's denuclearization process by showing a bright future it may enjoy once it reaches complete denuclearization" said the Presidential spokesman. Still, the leaders noted the need to maintain international sanctions against the North for the time being, the spokesman added. Moon arrived here Sunday for a four-day trip that follows his three-day visit to North Korea last week for his third bilateral summit with North Korean leader Kim Jong-un that was largely aimed at breaking a deadlock in denuclearization talks between the U.S. and North Korea. The U.S.-North Korea talks stalled after Trump called off a scheduled North Korea trip by U.S. Secretary of State Mike Pompeo, citing a lack of progress in the North's denuclearization process. North Korea has been calling for corresponding measures by the U.S. to reward it for the denuclearization steps it has taken already. In his meeting with Moon, the North Korean leader offered to dismantle the country's key nuclear facilities in Yongbyon should the U.S. take such measures. Trump welcomed the outcome of the latest inter-Korean summit, saying he too will meet with the North Korean leader in the "not too distant future." 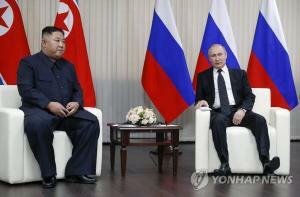 "We'll see what happens, but we will be having a second summit in the not too distant future," he said at the start of his bilateral summit with Moon. 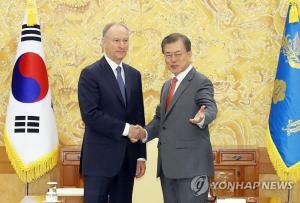 Explaining the outcome of his Pyongyang summit, Moon said the North Korean leader wishes to hold a second U.S.-North Korea summit with Trump at an early date, and to conclude his country's denuclearization process swiftly as well. "While repeatedly expressing his high expectations for President Trump, Chairman Kim expressed a hope to meet with President Trump at an early date to quickly conclude the denuclearization process," Moon told Trump. Trump and Kim held the first-ever U.S.-North Korea summit in Singapore in June. The U.S. president said the date for his second meeting with Kim will be announced soon, adding the meeting will likely be held in a place other than Singapore. 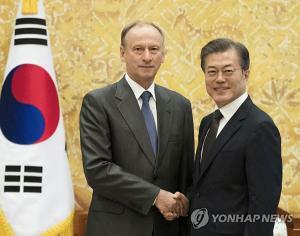 After the summit, the Cheong Wa Dae spokesman said Moon and Trump had in-depth discussions on the date and location of Trump's second meeting with Kim, possibly suggesting the leaders may be considering a three-way summit involving Moon. 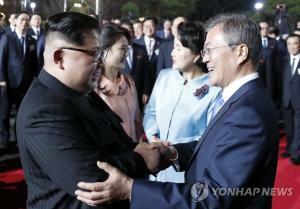 The South Korean president earlier insisted a formal declaration of the Korean War may be a "corresponding measure" for the North, saying it may provide some security assurances to the impoverished nation.